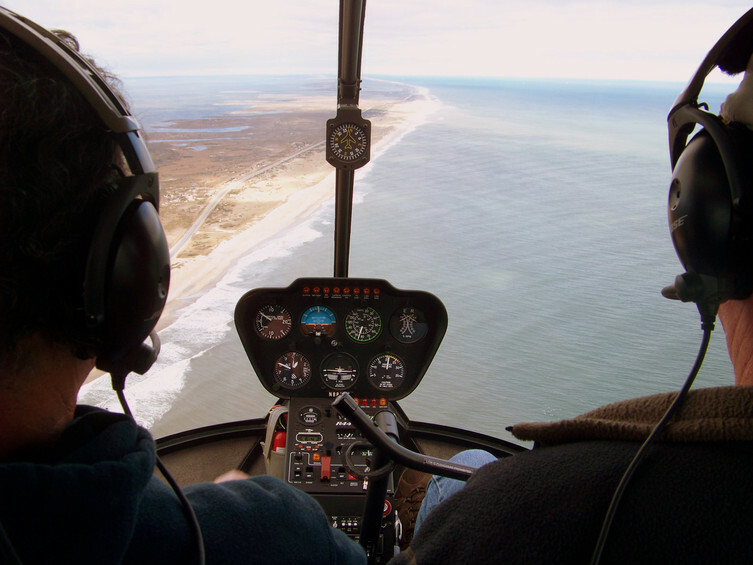 Get a bird’s eye view of the incredible coastline and treasures that The Outer Banks offers with an air plane tour. Your point of departure is the Dare County airport on Roanoke Island (next to the aquarium). 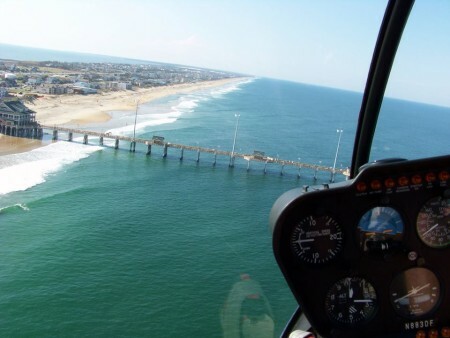 Call 1-877-FLY-THIS or click here to see our aero tour informational page for the Outer Banks. This is an extended flight of about 35 minutes. 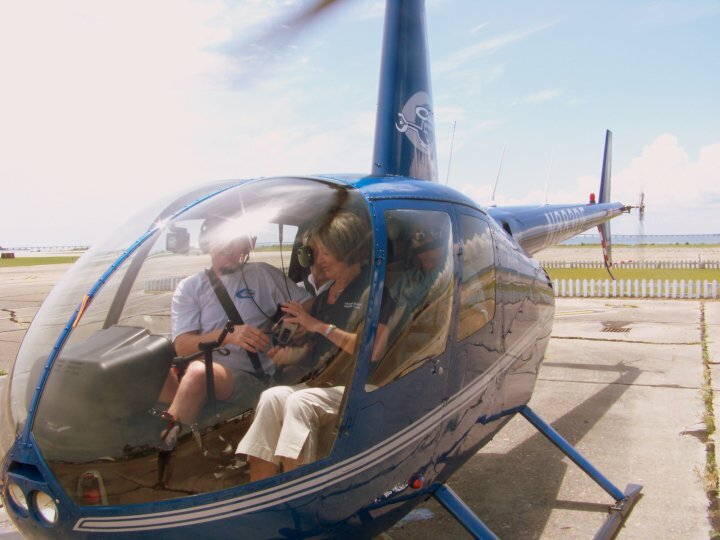 Choose between a flight from Manteo to the Bodie Island lighthouse, Oregon Inlet, and the coastline OR a flight from Manteo to Kitty Hawk, the Wright Memorial, the coastline, and Jockey's Ridge. Flights are in an original WWII bi-plane trainer. Flights are for one or two people. Our standard flight around the town of Manteo and over the Elizabeth II (replica of a 16th century sailing vessel), to the Wright Memorial, over the beach, over Jockey's Ridge, then back to Manteo in an original WWII bi-plane trainer. Flights are for one or two people. This is a one hour expanded flight. Choose the northern route by the Wright Memorial, Currituck Beach lighthouse, and down the coast back to Manteo OR the southern route by the Bodie Island lighthouse, down the coast to the Hatteras lighthouse, and back to Manteo. Flights are in a closed cabin Cessna 206 air plane. Flights are for up to 5 passengers. This is a 30 minute Standard flight. This flight goes around Manteo, over Roanoke Sound, the Wright Memorial, along the central beaches by Jockey’s Ridge and then south to Oregon Inlet. The flight then flies by the Bodie Island Light House and back to Manteo. Flights are for up to 5 passengers. This is a one hour expanded flight. Choose the northern route by the Wright Memorial, Currituck Beach lighthouse, and down the coast back to Manteo OR the southern route by the Bodie Island lighthouse, down the coast to the Hatteras lighthouse, and back to Manteo. Flights are in a closed cabin Cessna 172 air plane. Flights are for one, two, or three people. an extended flight around Manteo, over Roanoke Sound, the Wright Memorial, along the central beaches by Jockey’s Ridge and then south to Oregon Inlet. The flight then flies by the Bodie Island Light House and back to Manteo in a closed cabin Cessna 172 air plane. Flights are for one, two, or three people. A discovery flight around the town of Manteo and over the Elizabeth II (replica of a 16th century sailing vessel), to the Wright Memorial, Jockey's Ridge, and back to Manteo in a closed cabin Cessna 172 air plane. Flights are for one, two, or three people. This introductory tour takes you across Pirate's Cove Marina and out to the ocean. Circle Jennette's Pier and get a glimpse of the beautiful beach before heading back to Roanoke Island. Available Seasonally Memorial Day Weekend - Labor Day Weekend. Up to 3 passengers permitted per flight. 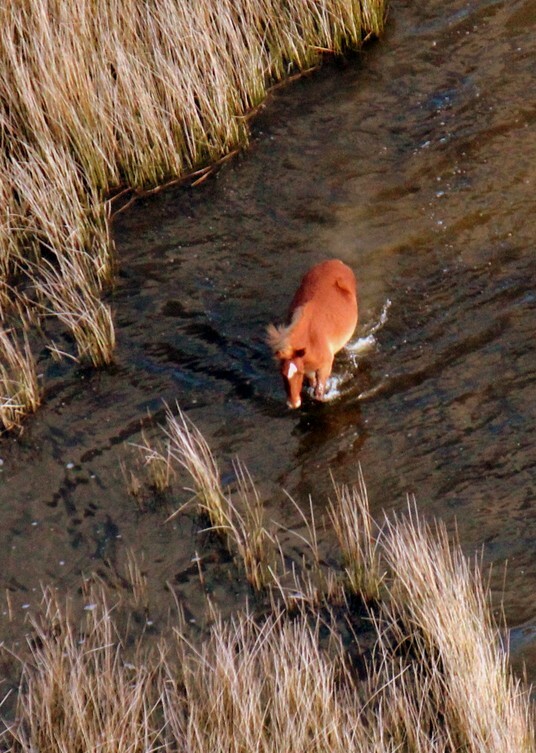 This tour either heads south to include Wanchese Fishing Village, Bodie Island Lighthouse and the Oregon Inlet Bridge OR heads north to Jockey's Ridge and the Wright Brothers First Flight Monument with the chance to see shipwrecks. Both routes include a stretch along the ocean with the chance to see marine life including dolphins, turtles and schools of rays. This approx. 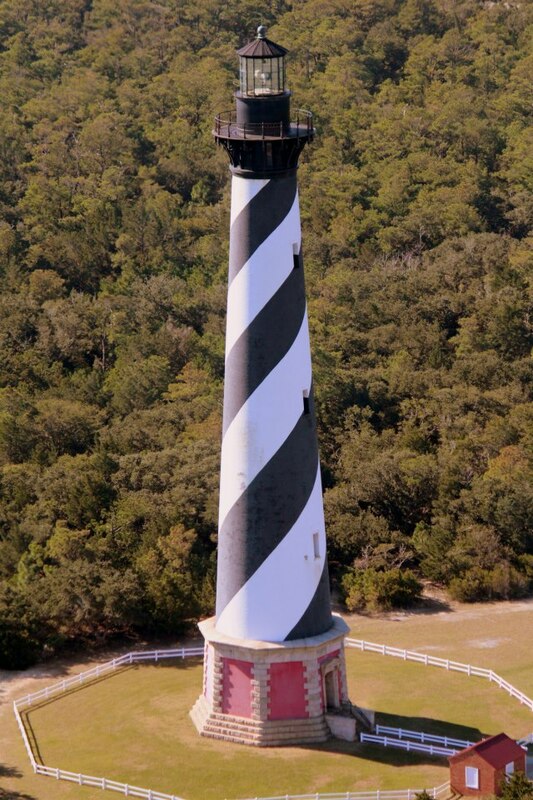 50 mile tour includes both the north and south routes of the Beach Tour ( Bodie Island Lighthouse, Oregon Inlet Bridge, Wright Brothers Monument and Jockey's Ridge) with an extended stretch cruising along the ocean with a good chance of spotting marine life and shipwrecks along the way. This tour takes you north for a wonderful stretch along the ocean to see the wild banker ponies, the four wheel drive villages of Swan Isle and Carova and includes a great view of the Corolla Lighthouse. This tour goes along the beautiful southern beaches of Hatteras Island allowing you to see the Bodie Island Lighthouse and the Hatteras Lighthouse, as well as the village communities of Rodanthe, Salvo, Waves and Buxton.